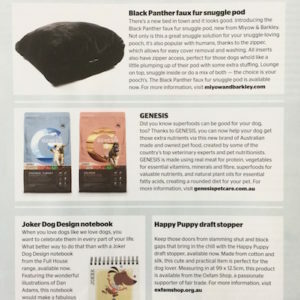 As a vegan of 23 years and an avid animal rights activist, I have decided to phase out any products that are not vegan, like our 100% wool knits. 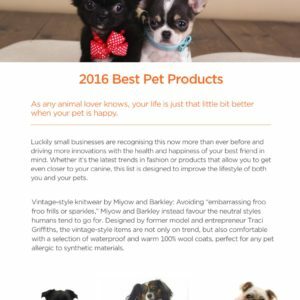 As stock of these items sell out they will be replaced with VEGAN friendly products. 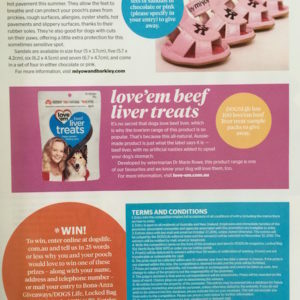 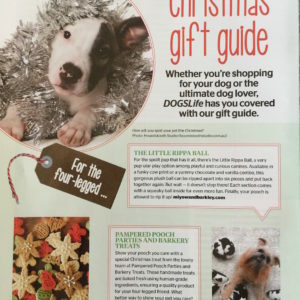 ***IT’S GIVEAWAY TIME*** Click on this LINK for your chance to WIN one of 3 x sets of Pink or Chocolate Sandals with Dogs Life Magazine. 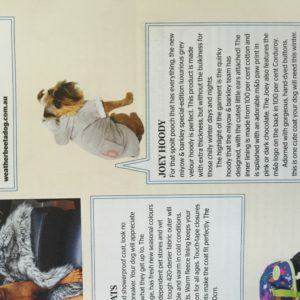 Thank you to Dogs Life Magazine for featuring our ‘Joey Hoody’ in their most recent ‘Coats & Comforts’ editorial. 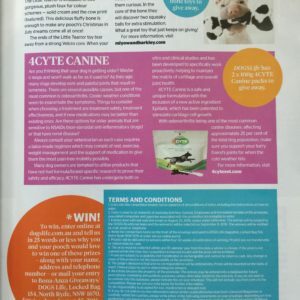 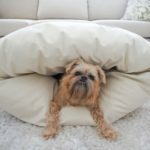 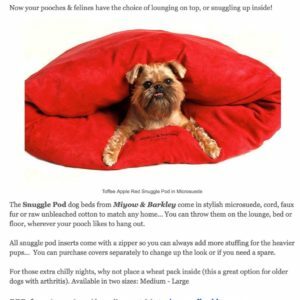 *Professional model striking her best pose is the famous Instagram star, Noodle Brains from @crunchy The luxurious velour Joey coats are available ONLINE in two colours, pink and chocolate and at select pet stores. 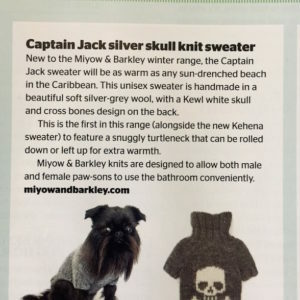 For your chance to WIN one of our NEWEST DESIGNER SWEATERS, check out the most recent issue of Dogs Life Magazine or enter online HERE View the feature HERE The NEW KEHENA sweater is also available ONLINE *Model featured is the one and only Noodle brains.